As Supreme Commander of the Allied Forces in Europe during World War II, General Dwight D. Eisenhower’s favorite cold weather military dish was reportedly ox-tail soup. Ike was also fond of Vegetable Beef Stew, Corn Pudding and String Beans Almondine, and, for dessert, he loved Prune Whip, Frosted Mint Delight, and his wife Mamie’s Deep Dish Apple Pie! 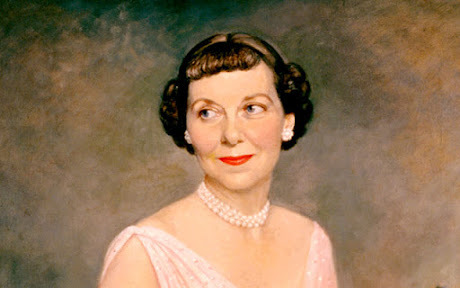 Mamie's Million Dollar Fudge was another Eisenhower family favorite, so much so that her recipe for it was printed in numerous newspapers and magazines throughout the 1950s. If you'd like to whip a batch, here is a recipe from The Food Network and Mamie's original recipe from the Dwight D. Eisenhower Presidential Library and Museum in Abilene, Kansas. FOOD FACT: Published in 1929, Alice Bradley's The Candy Cook Book devotes an entire chapter to fudges and includes recipes for chocolate fudge, cream nut fudge, caramel fudge, coconut cream fudge, coffee fudge, ginger fudge, maple marshmallow fudge, pecan fudge, peanut butter fudge, raisin fudge, raspberry fudge, rainbow fudge, maraschino fudge, pistachio fudge, walnut maple fudge and orange flower opera fudge!